It is not new for artistes to show off expensive properties ranging from cars to houses you name it. Tiwa Savage’s new ride has got everyone talking. 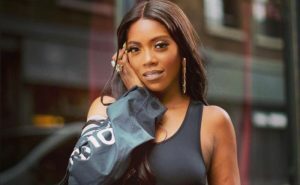 Mavin First Lady, Tiwa Savage revealed her new expensive ride which she says is arriving soon. The singer took to her Instagram page to show off the view of the cars interior which really looks impressive. She also revealed that the car is custom made so this clearly shows that it must have cost a fortune to obtain. The African Bad Gal as she is fondly called is currently on a break from the music scene and is expected to make her comeback very soon. She has been a topic of discussion lately due to the release of her Fvck youcover which has caused a lot of controversies. This is probably her way of letting everyone know there’s no time for hate from her own end.